It’s a fact. Today’s social customer will actively engage with their favorite brands and gladly leave feedback related to their experiences. Despite this incredible customer involvement, many organizations are still not making customer feedback an integral component of their product development strategies and overall business goals. It’s simple: The more you hear about what is and isn’t working from your customers, the faster you can take the necessary actions to integrate their feedback into the product development process. Engaging in this dialogue will also help foster a collaborative partnership between you and your customers. Finally, the incorporation of customer feedback into the process will reduce product revision cycles, take the guesswork out of the process (not to mention help you save valuable time and minimize wasted effort) and help you get that product to market faster. Those are all very good reasons to consider adding customer feedback management to your overall CRM strategy. Using OneDesk’s customer portal, your customers can leave feedback regarding your products and service. Customers can also vote up the feedback they like and engage with other customers and start discussions within the same online community. If you are curious to discover something more specific about how your customers think of your product or brand you also have the option of creating polls for your customers to vote on. The customer portal is an effective way for your customers to leave feedback and for your organization to gain valuable insight you can into your product development roadmap. Customers can leave feedback via OneDesk’s customer portal. Once customers leave feedback, what are the next steps? 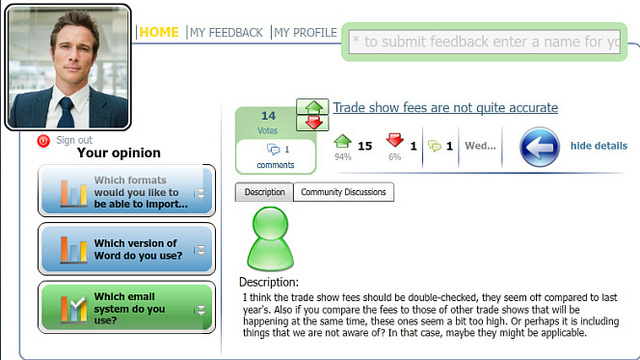 So, your customers have started to leave feedback using the customer portal. Now what? Collecting, analyzing and managing customer feedback does not need to be a cumbersome process. With OneDesk, you can not only effectively manage the entire feedback process but you can also link that feedback to the rest of your projects and tasks. 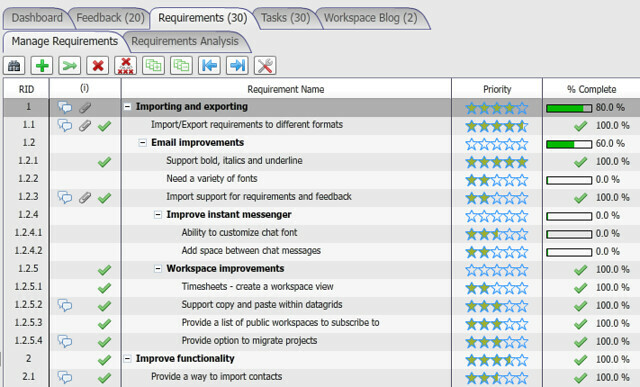 Using our requirements and project task management application you can effectively manage and prioritize product and service requirements. In addition to this, OneDesk also comes built-in with project management and collaboration applications that address all your product and service development needs. Invite your customers to leave feedback. Sign up for a free account today!